Brand new graphic tee proudly made in the USA. 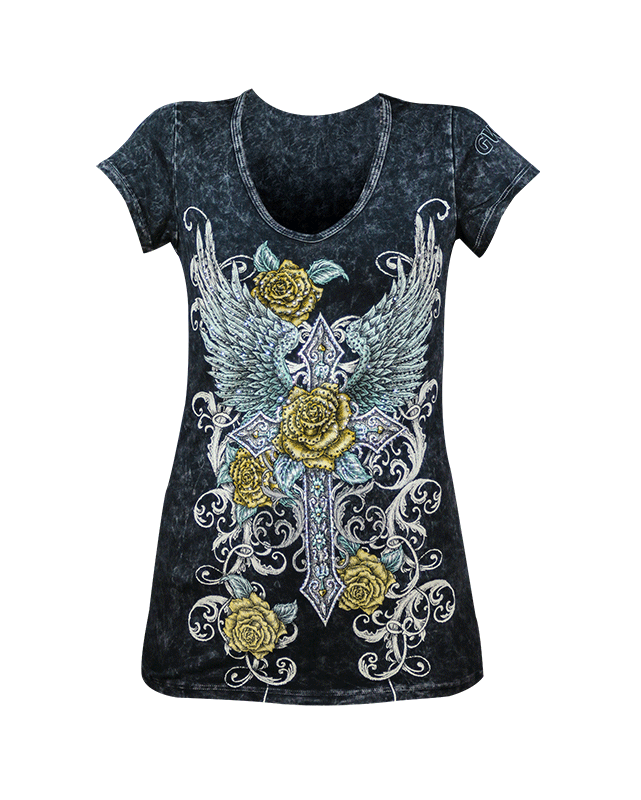 Full graphic on front and back features wings with roses and a cross plus added stones for just the right amount of bling. 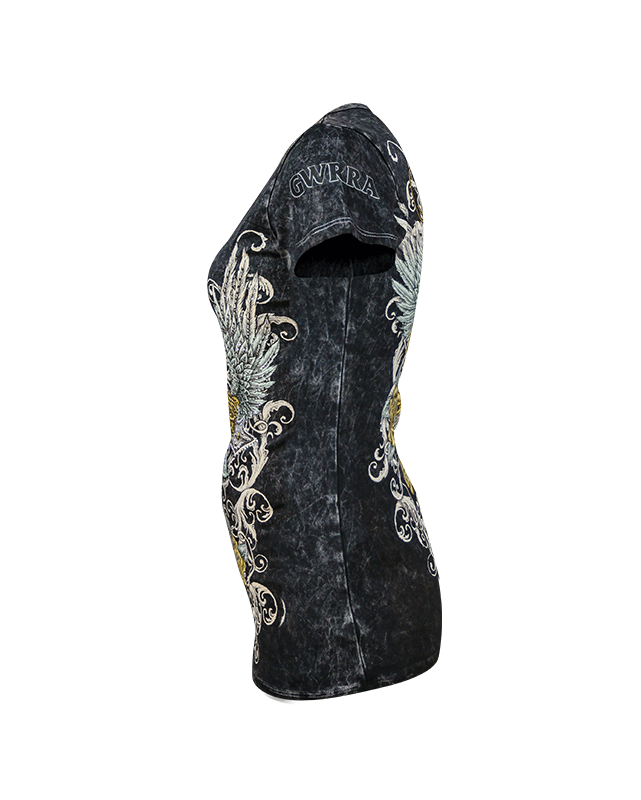 Also features the text “Ride on” on the back graphic. 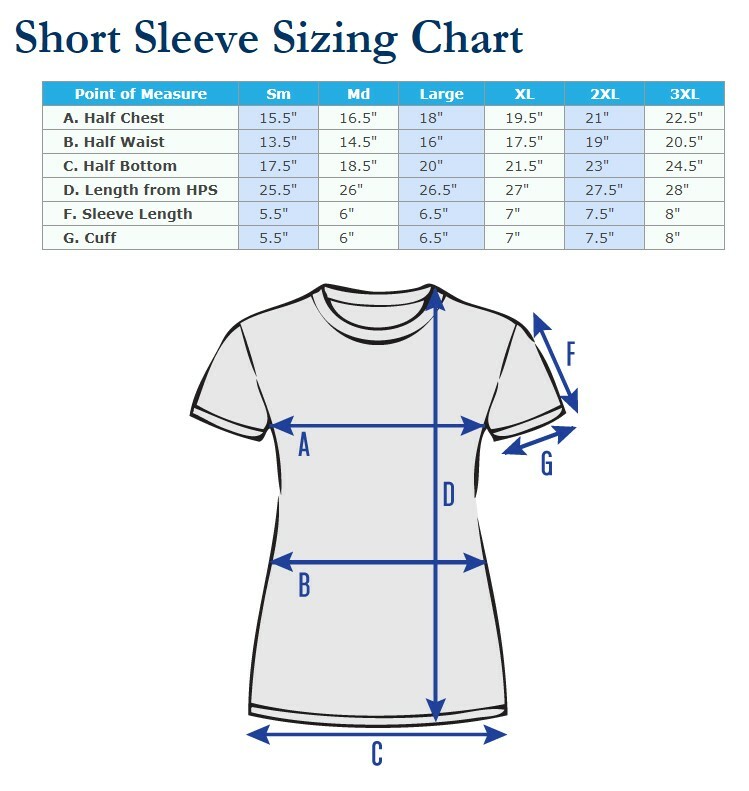 Made from 95% cotton/5% spandex; available in sizes Small-4XL. 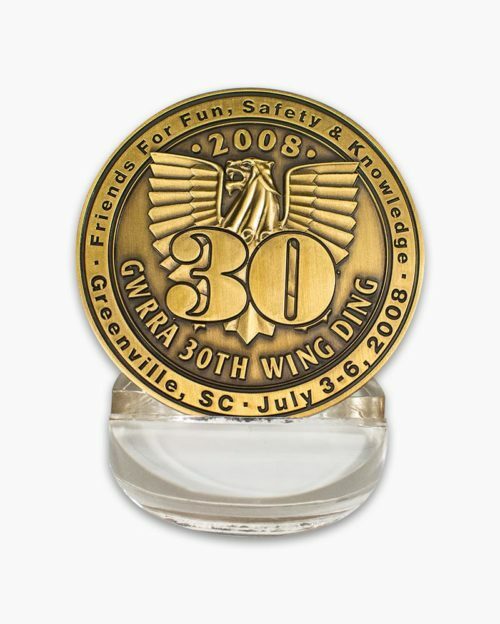 A Wing Ding Best Seller!! 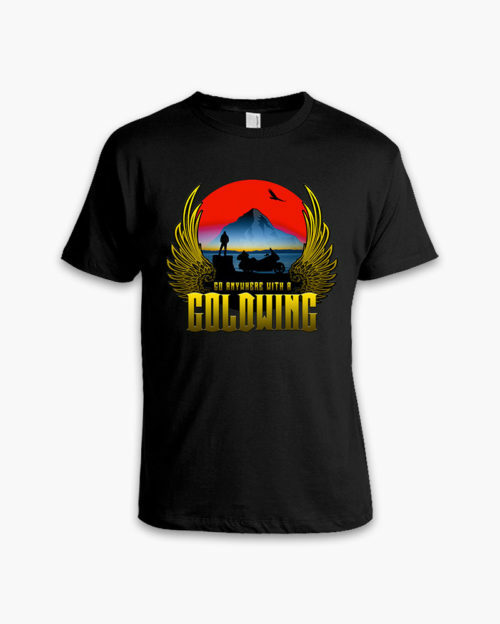 Brand new graphic tee proudly made in the USA. 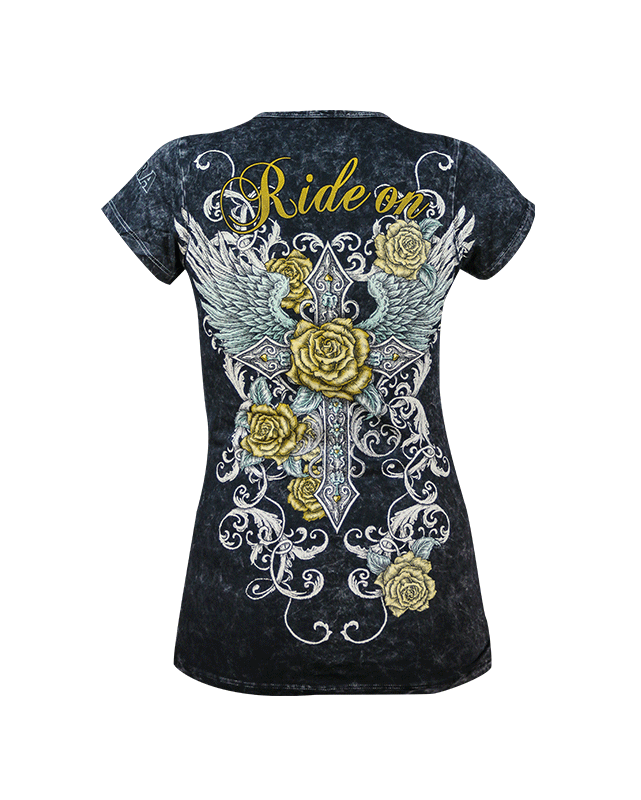 Full graphic on front and back features gorgeous wings with roses and a cross plus added clear stones for just the right amount of bling. 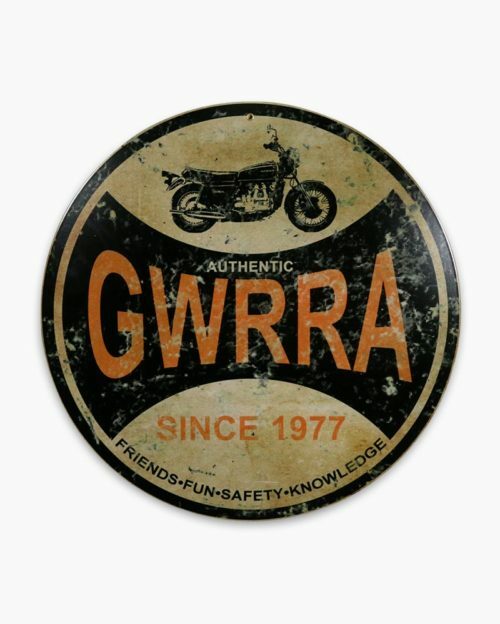 Also features the text “Ride on” on the back graphic along with GWRRA on sleeve. 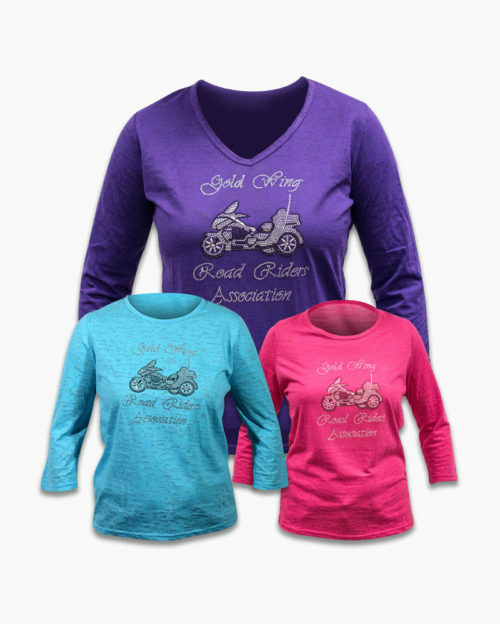 Made from 95% cotton/5% spandex; available in sizes Small-4XL.